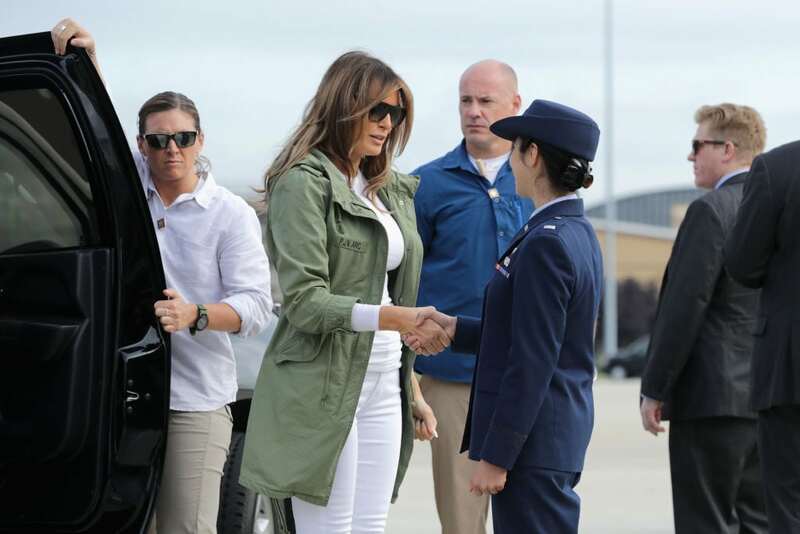 Today, the First Lady of America, Melania Trump made an unannounced trip to visit the crisis affecting families at the United States and Mexico border. The visit comes one day after Donald Trump signed an executive order to not separate migrant families at the border going forward. 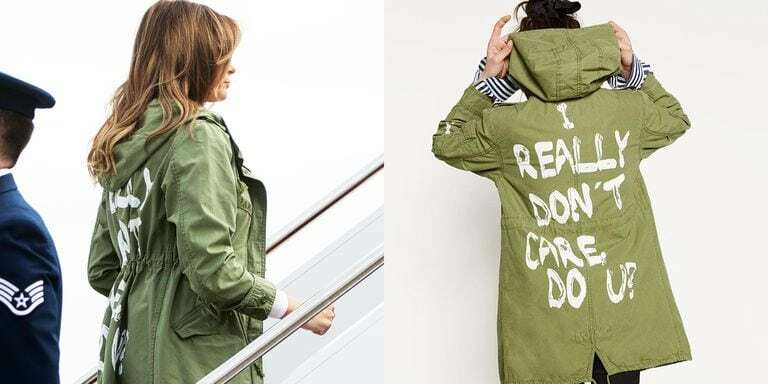 One thing that stood out during her visit was her jacket, which had the words “I Really Don’t Care, Do You?” inscribed on it. The jacket is a Zara military style piece. 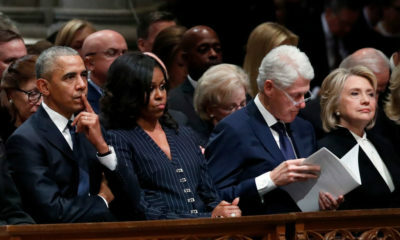 Just like every other first lady from Hilary to Michelle. Let’s be real here, that jacket speaks volume. It’s not coincidence. This is why I like Trump, hes not discreet about anything, he puts it all out there. OMOMO, she caught a break when she IMMIGRATED into the US (and allegedly worked illegally). 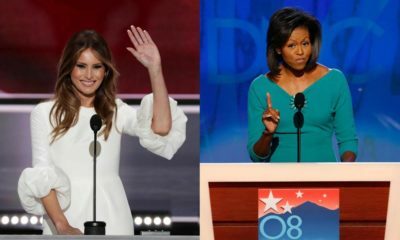 It’s actually those unfortunate people that she is visiting who “can’t catch a break” – no thanks to her husband! 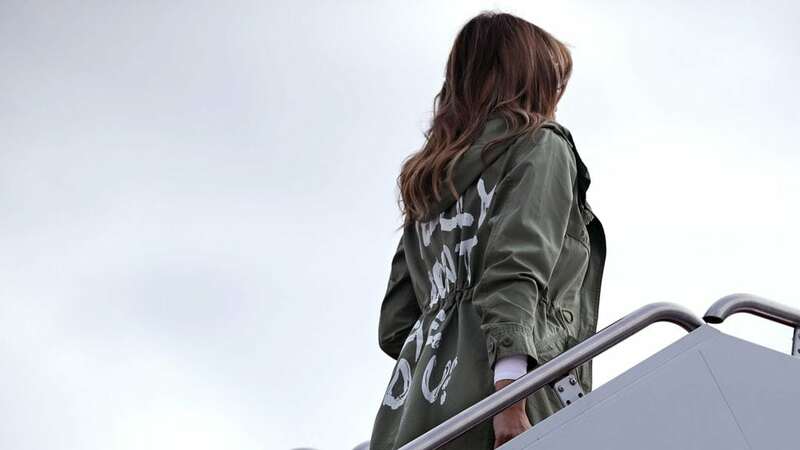 After Peter Fonda suggested that her 12 year old son be raped and Kathy Griffin held up a fake severed and bloody head of her husband, I wouldn’t blame Melania for wearing a jacket that says “F Y’ALL” on the back. However to whom much is given much is expected. You dont get to go round throwing subliminal to haters. You dont get to buy inappropraite attires and wear them at the most inappropriate events and times . She has to carry herself ABOVE all that. Surely someone should have adviced her against that jacket with such insensitive words while on a sensitive mission.